Pretzelmaker celebrates their Customer Appreciation Month by offering their pretzels for $1 a piece every Tuesday in January 2018. There's no limit on how many discounted pretzels you can buy but the deal is only good at participating locations on Original Salted and Unsalted pretzels. 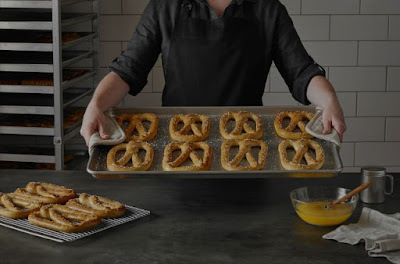 As an added bonus, when you buy any of the $1 pretzels, you'll get a coupon good for free Pretzel Bites with any purchase that you can use on your next visit. The regular price on Original Salted and Unsalted pretzels is $3 (may vary). The specific dates for the $1 pretzel promotion are January 2, 9, 16, 23, and 30.